So nation states did not really first appear in the 18th century, as we are all lead to believe. Language and shared history were powerful tool of societal cohesion even before the printing press. Also, a couple of notes on pronunciation. Nish, and Ochrid. And thanks for another great episode. These ideas peddled by political scientists such as Anderson and Gellner, who had little access to primary sources, have been thoroughly debunked by historians. I’m not so sure about that. Even before the Reformation the Latins were not exactly the most cohesive political-military force. The times that they did unite effectively were fairly rare. I see no reason to believe they would have fared better had they been the first stop on the Turkish onslaught. Also, making the Ecumenical Patriarch into a supreme universal bishop like the Pope could have made the situation even more difficult for Orthodox Christians in Muslim- or Latin-occupied territories, as it would add force to suspicions they were foreign agents. 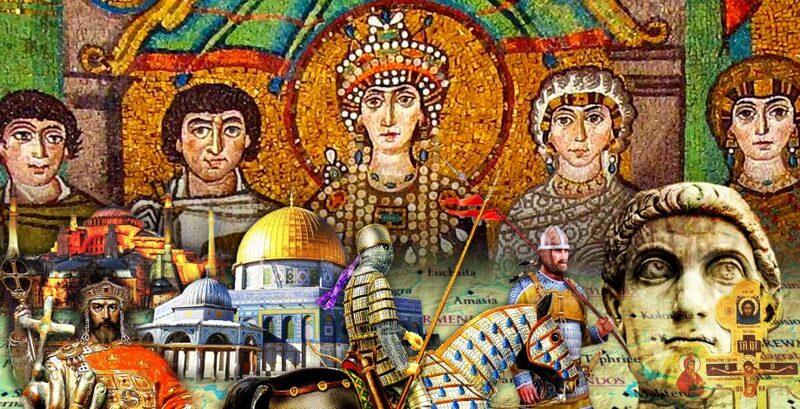 And I wonder if the Bulgars and Serbs would have been more politically united with Byzantium had the latter exercised less, not more, Roman chauvinism. @Ryan, Latin Christendom often operated cohesively enough to change the course of history. What would you call the multi ethnic crusades? the defense of Vienna? Lepando? and so on? The Popes held immense sway over the elites of catholic europe and was able to mobilize resources the Orthodox East could only dream of. @Constantine thank you, you really explain it better.